Marina Harss is a critic, journalist, and moderator based in New York City, writing on all aspects of dance, and occasionally on opera. Since fall of 2017, she has been dance critic for the WNYC radio station. She is a regular contributor to the New York Times, The New Yorker, Dance Magazine, Pointe Magazine, and Dancetabs.com. She is currently working on a critical biography of Alexei Ratmansky for Farrar Straus and Giroux. 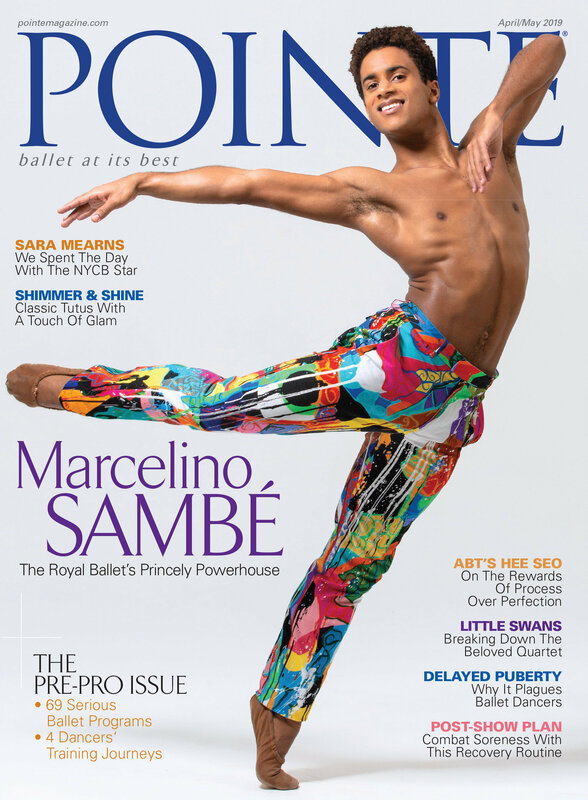 This is Pointe's December/January 2018 Cover Story. You can subscribe to the magazine here, or click here to purchase this issue. Christine Shevchenko and Devon Teuscher have spent practically half their lives with each other. Both dancers joined American Ballet Theatre's Studio Company in 2006. The following year, they graduated into the main troupe as apprentices, again together. They've sat next to each other in every dressing room they've ever occupied, and shared hotel rooms on the road. And in September 2017, at the age of 28, they became the company's two youngest female principal dancers—on the same day. If they weren't such good friends, they would probably be sick of each other. "Those brief moments onstage—it feels like that's where I'm supposed to be," says Teuscher. "That's where I feel most at home." Jayme Thornton for Pointe. 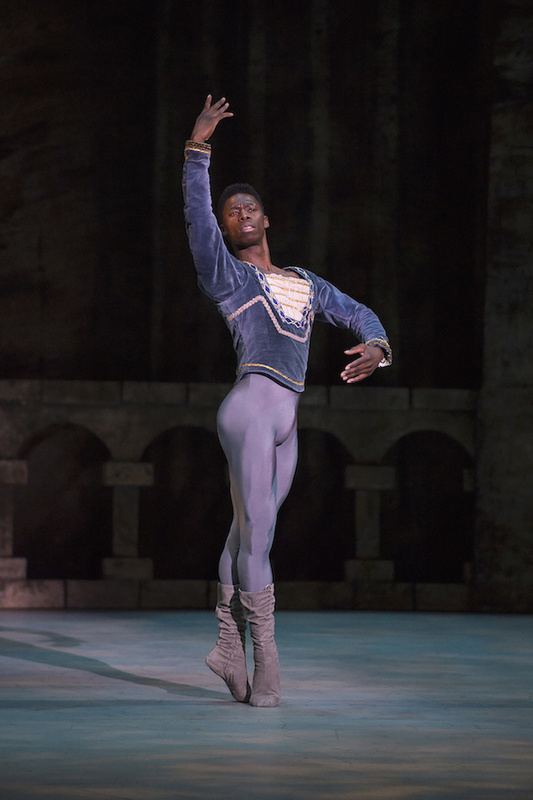 "Very rarely do I come offstage without a smile on my face," says Wellington, here in Jerome Robbins' Goldberg Variations. Photo by Paul Kolnik, Courtesy New York City Ballet. Lydia Wellington practically grew up at New York City Ballet. Her mom, a children's book author and illustrator and ballet enthusiast, used to take her to shows up in the fifth ring when she was a toddler—"it was cheaper than babysitting," says Wellington. So at age 7 it was almost natural for her to enter the School of American Ballet, where she spent the next 11 years, eventually graduating into the company. On September 20 of last year, a violent hurricane, almost a Category 5, hit Puerto Rico head-on. The mega-storm laid waste to the American territory, knocking out power, flooding roads and houses, flattening buildings, and killing 2,975 people as it barreled northward. Large swathes of the island remained without electricity or running water for weeks—in fact thousands of homes were still without power nine months later. It was the worst storm to hit the island in at least eight decades. The hurricane and its aftereffects touched everyone in Puerto Rico—including its ballet community. Flooded schools were unable to give classes, performances were canceled, and ballet companies were forced to go on hiatus. Students were already dealing with storm-related difficulties at home, so, for a while, training was on the back burner. But dancers are famously determined, and soon they were doing what they could to stay in shape—a fact underscored by a video that appeared on Twitter, of students rehearsing in the dark, illuminated only by car headlamps. You made a deal with your mom to take ballet classes in exchange for a ride to tryouts for the football team. How did that work? I thought that I would take ballet for a couple months, become a master and then leave that alone and concentrate on football. Ballet had other ideas, which perplexed me, and ultimately, I think, made me fall in love with it. How is The Washington Ballet evolving under Julie Kent's leadership? It's still early, but I think that the company is growing stronger classically. And we have Julie, Victor Barbee, Xiomara Reyes and Rinat Imaev—a great team of people who are giving their input and expertise, which is quite helpful.